Couple months ago I got an e-mail from a Dutch magazine "BLOGazine" with a suggestion to write an article with a recipe of banana pancakes. And I decided... why not! This magazine is about Dutch bloggers and you can find there a lot interesting information about fashion, beauty-products and delicious recipes of course. The second edition is now available in shops, but you can also find some additional information online here. So here we go... Let's make some banana pancakes! 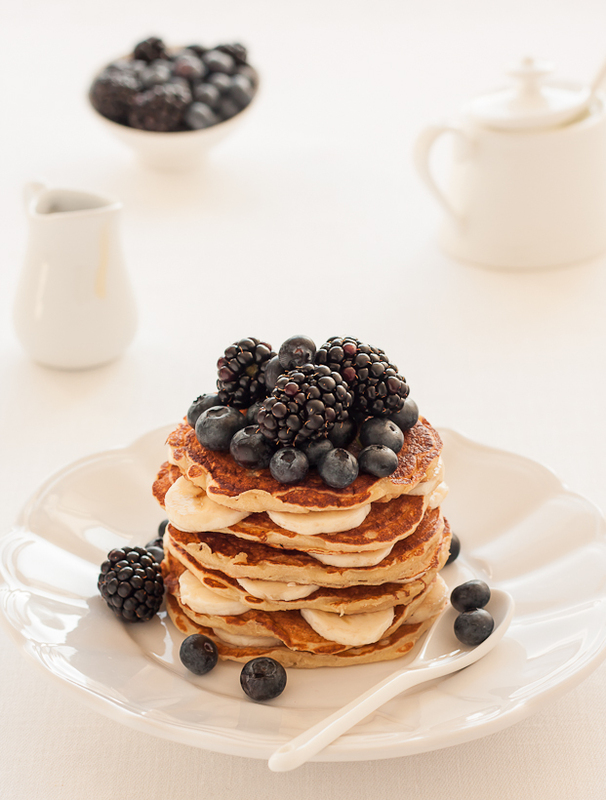 Btw, it's a wonderful idea to serve these pancakes for Valentine's Day breakfast! Easy to make, but nobody will be able to resist! To get this recipe, please, visit my new blog: Baking with Anastasia.